Part 2 might not be as impactful as the original, but it definitely has the same feel and authenticity, as the underrated wordsmith vents out with a slight growl, painting a picture with a similar emphasis to DMX. (If they ever do a Hip-Hop Honours for X, they gotta have Gunplay perform Slippin’). It frustrates me as a fan, that Gunplay has not been able to deliver with the same consistency, and cement his presence. This track really provides some hope though, as the multilayered rapper reintroduces himself to audiences who might not have been paying attention as much. With this track, he (open as always) pours on his battle with mental health, friends locked up and substance abuse, but it’s not a lost fight, as he speaks, “I need some Percocets, no I need some self-control”. As outcasted as he seems to become, he sits in a unique space between the likes of Gucci Mane and Joe Budden. Despite his versatility, the dark music definitely helps shed light on the realities, and thus make him an important part of the spectrum. With a new appreciation for lyricism in motion, it’s a good time for Jupiter Jack to return, either way I’m certainly hoping for a follow up to Living Legend. Produced by Polow Da Don (who seems destined to return back to his dominant ways within the charts), this catchy record is made for the radio, the clubs and no doubt will make it onto many iPods, featuring Usher, it possesses an Atlanta feel with a mainstream vibe, it helps welcome Gucci Mane into the mainstream safely, Usher does well, he provides the song with a much needed assurance, an extra appeal. All together this is a good record, many can enjoy it with its broad concept. The video is a good look, similar to Usher’s U Don’t Have To Call video, none the less a good visual for the record. Gucci Mane is currently riding a wave of success throughout the charts and Spotlight looks set to be his mainstream initiation as he embarks on an even bigger career. Well well well, hot off the press, comes the answer to who this track will belong to, seems like Gucci Mane gets this monstrous offering from Timbaland, it is from a mixtape so I do not know if it is official or not, however seems so to be Gucci Mane’s at the moment. I am not too sure about this, I prefer hearing the solo Drake version, despite it being short, I like Killer Mike, so it is not all bad and Gucci Mane currently has quite the hype, however I honestly feel that this beat if restricted to just a mixtape has not been served justice, if anything new comes up regarding this beat, be sure that OneFaris will bring it to you. After gaining major recognition worldwide with his single ‘Let Me Love You’ (Written by a then unknown Ne-Yo), Mario never really managed to maintain his status, issues with the release of his last album did not help. None the less, his talent is unquestionable as he returns putting those problems (including his mother’s drug addiction) behind with his new offering ‘Break Up’. 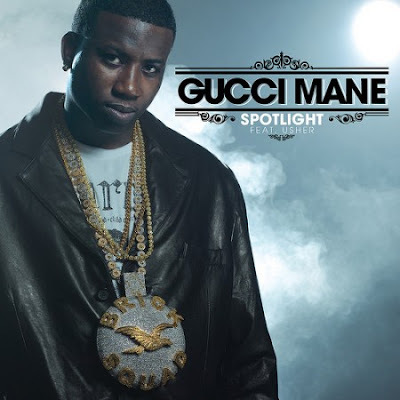 Produced by Bangladesh (Lil’ Wayne – A Millie and Beyonce – Diva), this R&B cut possesses that old school R&B feel that has been missing whilst sounding brand new, featuring Sean Garret aka The Pen (having written for Usher – Yeah, Chris Brown – Run It and Beyonce – Upgrade U to name a few) and rising underground rapper Gucci Mane (who helps balance the R&B levels with his raw, street style), Break Up will most definitely help push the trio to newer heights, especially Sean Garret who due to a lack of promotion saw the poor sales of his debut effort Turbo 919 (Which is a good album so make sure you check that out). Mario’s return displays a more mature artist attempting to create good music rather than his next hit, with dedication like this it will not be long before he gets another smash, with Break Up rising in the charts, who knows..he may find it sooner than he thinks.